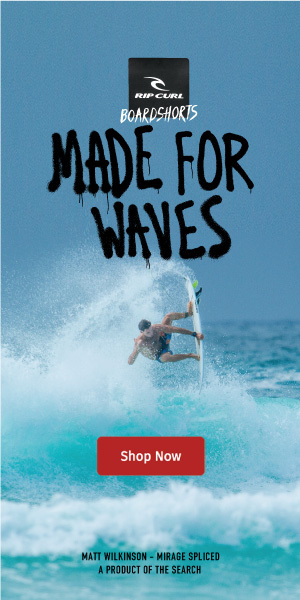 High quality surf from the future stars. The excellent longboarding waves on offer at the world famous Halfways - Kuta Beach in Bali today saw quarterfinalists decided in both the Men’s and Women’s divisions on the opening day of the first RAST event of the 2018 season, after starting the morning with a traditional Balinese ceremonial blessing and a Barong Dance to set the tone for what will be three more days of fun times and good vibes on the beach for the truly international field of surfers joining the competition. 24 Men and 18 Women longboard competitors from countries including China, Korea, Indonesia, Japan, the Philippines, Russia, and the USA (Hawaii), paddled out and enjoyed a day of fun but serious competition today, with the day’s highest single wave score of 8.11 points (out of a possible 10 points) honors being taken by Jay-R Esquivel from La Union in the Philippines in challenging low tide conditions near the end of the day. “The waves were small, and with the low tide they were kinda fast. But I got that one good wave that allowed me to do a lot of nose rides and that one other move…I don’t even know what to call it…but the judges liked it and gave me a good score, said Jay-R. “I’m glad to get into the quarters but I know it’s going to be hard as those Batu Keras (Java, Indonesia) boys are really good. Last time I surfed Kuta Beach I was about 8 years ago, so it feels good to be back!” he added. The Batu Keras boys that made it into the quarterfinals are Mencos, Deni Firdaus, and Dean Permana, along with last year’s RAST Longboard Champion Benito Nerida, also from La Union (PH). So there are some great matchups going into the quarterfinals, which are scheduled to be held on Friday. Tomorrow will see the Women’s Shortboard Division Round One getting into action at 7:00am, and the Men’s Shortboard Round One following.